Retail prices are listed on the main website, this outlet for direct sales using Paypal List price excludes postage which is per item, pp discount for more than one item. UK £5.0 GBP. Europe £10 GBP and everywhere else £15 GBP using Royal Mail Signed and Tracked service. These are medium to strong output with vintage sound. Hyperflux 2 ,3 and 4, £49 GBP/set of two. ( Standard size covers, plain or open 6 poles) 13K Ohms. 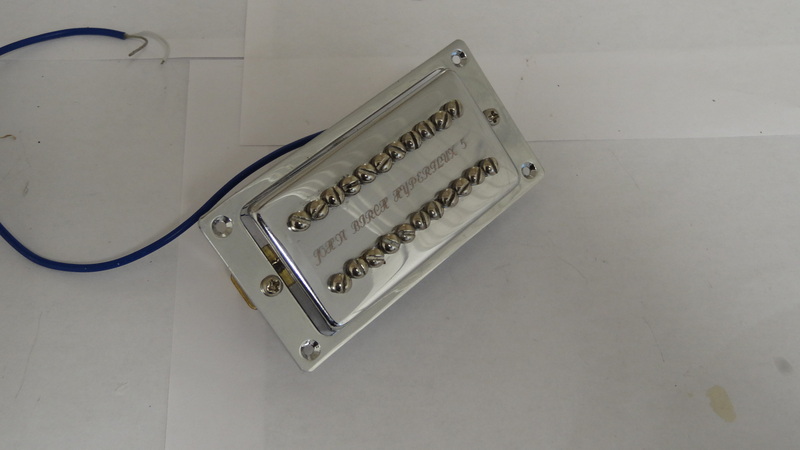 Biflux 2 and 3 are multipole at 7.2K Ohms in standard size chrome humbucker covers. £49 each. These are high output pickups for heavy rock sound. Magnum 2 and Hyperflux 2 set £99.00, closed chrome covers. Magnum 4 and Hyperflux 5 set £99.00 exposed poles and closed covers. Paypal accepted just e mail to johncarling052@gmail.com.